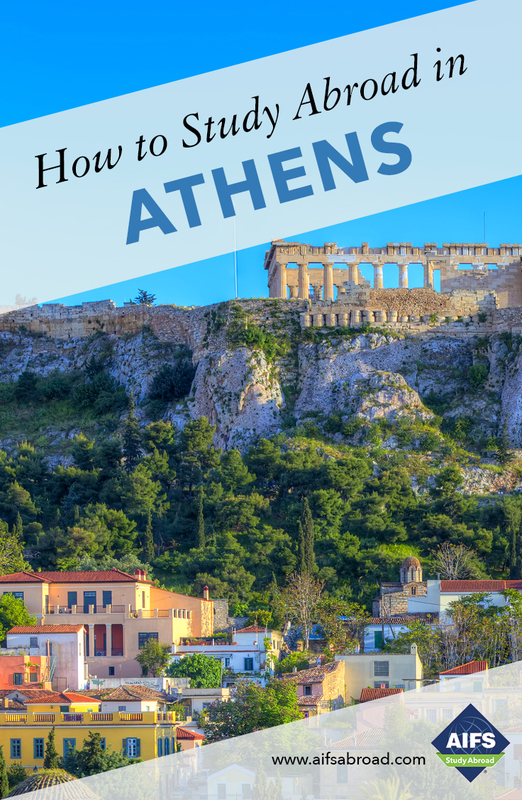 Included in your program fee are a range of day trips which will take you outside Athens and deepen your social, historical and cultural understanding of Greece. Ancient Delphi, on the slopes of Mount Parnassus, overlooks the Gulf of Corinth far below. It is a UNESCO World Heritage Site, famous for its magnificent setting, as well as its ruined temple and theater and the Delphi Museum. In ancient Greece, Delphi was considered the center of the world, home of the Delphic Oracle which was the most powerful in Greece. The trip also includes a stop at Arachova, a ski resort town for great views and a 4-course meal in a traditional Greek taverna. Includes transportation, entrance fees, services of a local guide and a traditional lunch. Each semester AIFS students have the opportunity to visit one of the small Greek islands close to Athens such as Hydra, Spetses or Aegina. Transport on these islands is by bicycle or horse drawn carriage - a definite change from the bustling city life in Athens. Churches, museums and archaeological sites abound but if you prefer a more relaxing excursion then winding cobbled streets, beautiful harbors and secluded beaches await. Nafplio, in the province of Corinth, was the first capital of Greece and is one of its most attractive towns. A small coastal city, it has 3 castles, the most famous being the Citadel of the Palamidi fortress. Often referred to as the ‘Naples of the East’ for its romantic, traditional structures it is also a modern city with restaurants, shops, cafés and winding streets. A tour of a Greek winery with a tasting is also included. Begin your semester with a 2-night visit to London en-route to Athens. This will allow you to relax, recover from jet lag and get to know your fellow classmates while touring England’s capital. The Temple of Poseidon, as old as the Parthenon, stands on a cliff at Cape Sounion, overlooking the sea. Visit the most important sanctuary in Attica, the region of Greece of which Athens is the capital and where Greeks worshipped the god of the sea, Poseidon. Includes transportation, selected entrance fees and sightseeing followed by a lunch on the coast. A minimum enrollment of 10 is required for the excursion to run. All dates and itineraries are tentative and subject to change.